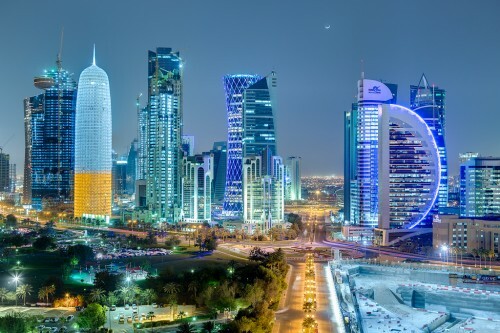 Cheap flights to Qatar for only €150! Pegasus Airlines now offer amazing prices on flights to Qatar. Return tickets from Istanbul to Doha in Qatar are available for only €150 / 411 TRY. This is basically 50% off regular price to this unusual destination. Travel dates are from November until March 2014 with exception of January which is already way more expensive. This is a direct flight from Sabiha Gokcen airport in Istanbul to Doha which takes slightly over 4 hours. Istanbul is easily reachable from Europe also with Pegasus for good prices (e.g. Milan – Istanbul for €72). Escape cold Europe and enjoy warm Qatar! Book directly with Pegasus. Doha is luxurious and quite expensive destination so you should carefuly check all accommodation options before your travel: compare all booking sites at once with our accommodation search engine and don’t waste your money. « Cheap flights from Prague to New York for €402!